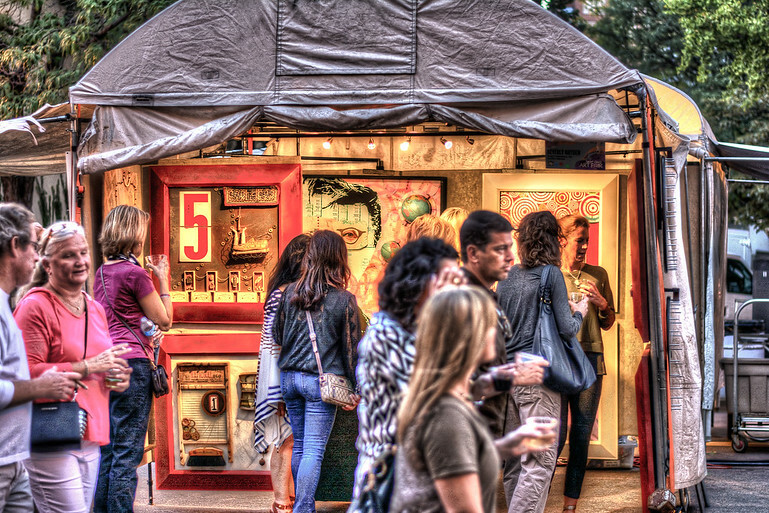 Here is a photo taken this fall at the St. Louis Art Fair in Clayton, MO. This is a low light photo just using available light. I used a 50mm prime lens at f1.8, 1/100 sec. This photo still came out almost black so processing in Photomatix brought out the highlights and interesting tones.